So now you’re a manager. It doesn’t matter what the job’s called. Be it team leader, project manager, team manager or any other title, it boils down to one thing: there’s a group of people who need managing, and you’re the person to manage them. That’s all fine and dandy, but the team you’re managing is even more pretentious than a regular team: it’s a team of designers. Now, there’s nothing wrong with designers or managing them but, as people go, designers tend to have a lot more individuality in them and be less willing to work in a team effectively. That’s why managing a design team is even more of a challenge than regular team management. There’s no guide anywhere that will brief you for all the possible situations you will encounter. Team management is a difficult task and it’s not entirely scientific. Sometimes it just takes your talent to figure it out. Your whole job is to help smooth over unplanned hurdles in the development of whatever it is your team is working on. That being said, there are certain techniques that have been proven to work time and time again, benefiting managers and designers alike. Here are a few of these techniques in a handy, list-type format. Your most precious resource is your time. Don’t squander it. 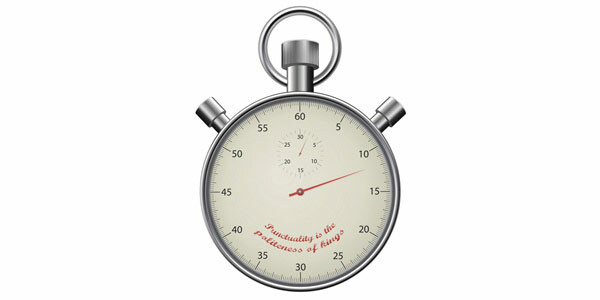 The better you plan the allotment of your working hours, the less time you waste. Plan everything in advance. It’s your job, after all. Plan for tomorrow today and don’t wait until the last moment to figure out what you’re supposed to be doing next. There is such a thing as the Pareto Principle. This rule states that, for most events, 80% of the rules come from 20% of the causes. This principle is applicable in management as well: 80% of the results at the end of a project come from 20% of the effort made to reach those results. Why is that? Because, usually, most projects spend 80% of their time on unfocused effort and only 20% on focused effort. Try to avoid this rule by optimizing your timetables and keeping them! You’re a manager now. It doesn’t matter if you’re a designer professionally or not. It doesn’t matter how much of the work you can get done yourself. These are not things that factor in when managing a team project. You can’t do all the work on your own in the allotted time – that’s a fact. You’re needed to solve the various problems that arise from having a group of people with distinct personalities working on a common project. You need to delegate. In order to properly delegate, you need to know how to match people with tasks. Create detailed job sheets for all your team members. Know the strengths and weaknesses of each member of your team. For instance, you need to know that one guy is good with minimalist vector illustration, but not that hot with intricate, detailed-filled designs. You need to know these things in order to properly assign tasks. Take the time to know the members of your team and what they work with. Ask them – odds are they’ll tell you exactly what you need to know. 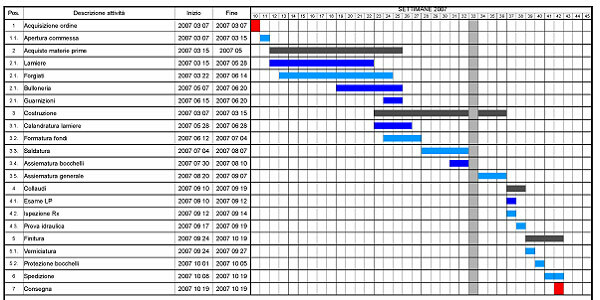 Gantt charts are bar charts that illustrate project schedules. These charts are very useful because they include milestones, individual resources and time constraints and schedules. The various colors on the chart indicate the project’s core activities and can indicate dependencies between these activities. 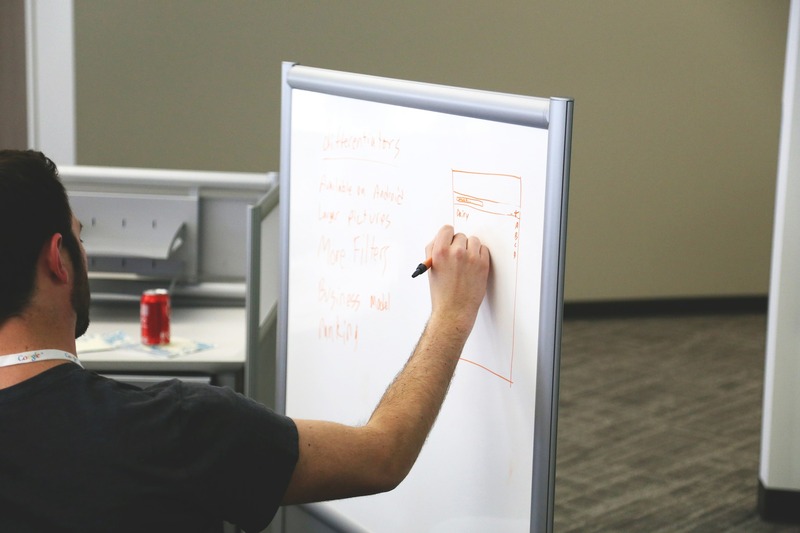 Looking at a Gantt chart, you can eliminate idle periods, saving both cost and time in the process as well as see an overview of the whole project and what activities it entails. It’s a great way to centralize all the information you need about a project and you should definitely try it out next time you’re managing a team. 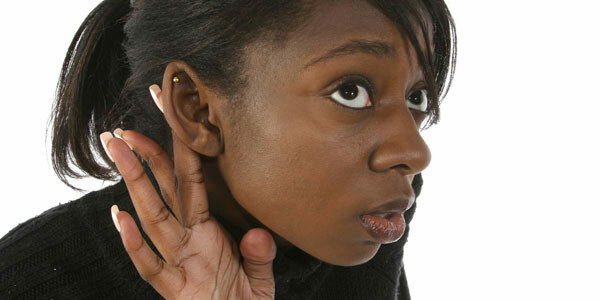 Usually, project managers are trained to listen to the client’s needs and requests and make sure these are fulfilled. That doesn’t quite cut it in the design world. Sometimes the client doesn’t know that what he wants isn’t in his best interest and that it would only harm his own image. Ever hear of a site called Clients from Hell? This site exists exactly because of that. This means that you, as a manager, need to listen not only to the client and what he wants and thinks he needs, but also to your team. They have a valuable feedback to give you that will make your work easier in the future and that will optimize this project. Plus, if you don’t listen to your team, they start to feel neglected and will not be as motivated to work anymore, which brings us to the next point. 5. Keep Your Team Motivated! Everyone gets motivated by different things. Don’t try to inspire your team to work on something that they have no interest in. Instead, find out what gets them motivated and introduce that in the equation. But first thing’s first. Motivating a team begins with motivating yourself. You can do this by doing a few simple things: take care of your work environment, keep it tidy and neat, take breaks and work in smaller intervals, build yourself a routine, learn to prioritize and switch the task you’re working on when you start to feel fatigued of what you’re doing. Once you’ve gotten yourself motivated, you need to work on those around you. One-to-one meetings are extremely useful in this respect, especially when coupled with regular performance reviews. These meetings allow you to have an honest discussion with your team members. Take that opportunity and use it to drive a positive message across. Beware one of the pitfalls of project management: money is not a good motivator. If you use financial bonuses to motivate your team all the time, instead of motivating them, what you’re doing is creating a Pavlovian reflex in which they will expect the bonus for every job they do. A good salary and benefits will attract a good team, but it takes more than that to keep them motivated. Specific: Define everything. Define who needs to do what and define what needs to be done. Be as accurate as possible. 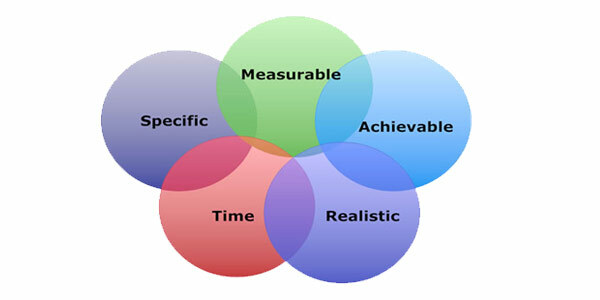 Measurable: Keep your results measurable. That way you can keep track of your progress and see how well you’re doing versus your own projection. Attainable: Make sure you can actually accomplish what you set out to do, but don’t set the bar too low either. It’s really an art to set the goal as high as possible so that it is still realistically attainable. Relevant: Make sure your goal is relevant to your project. Sounds like a no-brainer, but you’d be surprised how much time is squandered on things that are non-essential in group projects. Time-bound: Use deadlines. Deadlines are your best friend. If you don’t have a deadline, the work will just drag on for ages. The proper implementation of these principles will make sure that your whole creative team will prosper and that whatever project you’re working on will be a success. What has your experience been so far with managing a team of designers? Editors’ Note: “This article was originally published in October 2013, and has since been revamped and checked to ensure complete accuracy and correctness of information”. I wouldn’t recommend Gantt charts for creative / design projects they get blown out the water within no time. You need to apply agile techniques. Waterfall approached like PRINCE just do not work.